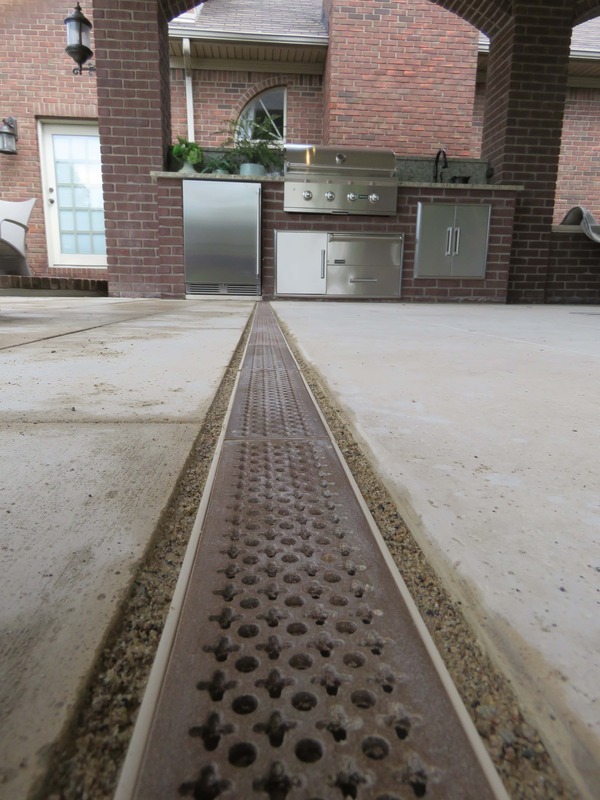 Decorate your patio or landscape area with a trench drain system kits specially designed for pedestrian applications. 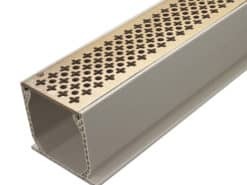 We have a wide variety of grating options to compliment your outdoor hardscape – some are only available here at DrainageKits.com. Trench, or channel, drainage works like the rain gutters on your house. They are light-weight and easy to install. 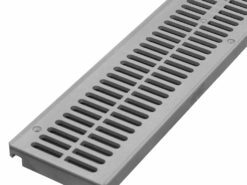 Grates are removable for easy clean-out and replacement. Our collection of drainage kits includes all necessary components to install a patio drain of your choosing. NDS® Mini Channel drainage kit with Made in USA decorative cast iron grates. DrainageKits.com exclusive! Made in USA aluminum grates. 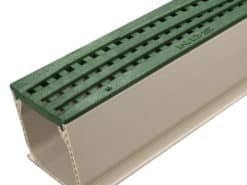 NDS® Mini Channel drainage kit - choice of 4 great colors. NDS® Mini Channel drainage kit with 'Made in USA' decorative cast iron grates. Exclusive TDS™ Sand Channel kits make it easy for you so you have everything you need! 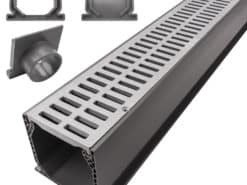 NDS® Mini Channel drainage kit with decorative cast iron grates. DrainageKits.com exclusive. 'Made in USA' ALUMINUM grates. Exclusive TDS™ Sand Channel kit with 'Made in USA' BRONZE grates. Exclusive TDS™ Sand Channel drainage kit with your choice of 4 great colors. Exclusive TDS™ Sand Channel. Made in USA BRONZE grates. Exclusive TDS™ Sand Channel drainage kit with 'Made in USA' decorative cast iron grates. Exclusive TDS™ Sand Channel drainage kit with Made in USA decorative cast iron grates.